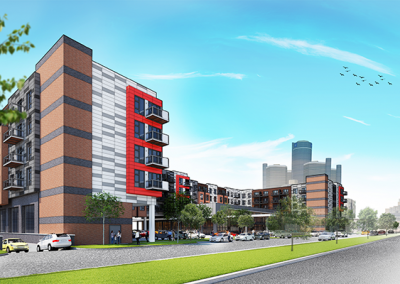 Lormax Stern Development Company is proud to announce their newest development in partnership with Dennis Archer, Jr., and Marcel Burgler with Prime Development; 1475 East Jefferson. 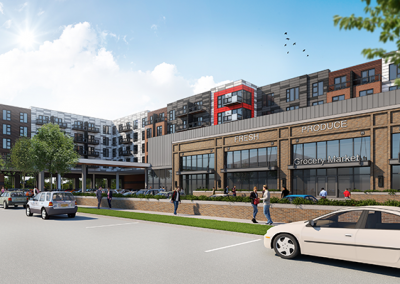 The Property will include a 42,399 Square foot all-new Meijer concept, 213 apartment units, 120 retail parking spaces, and 221 residential parking spaces. 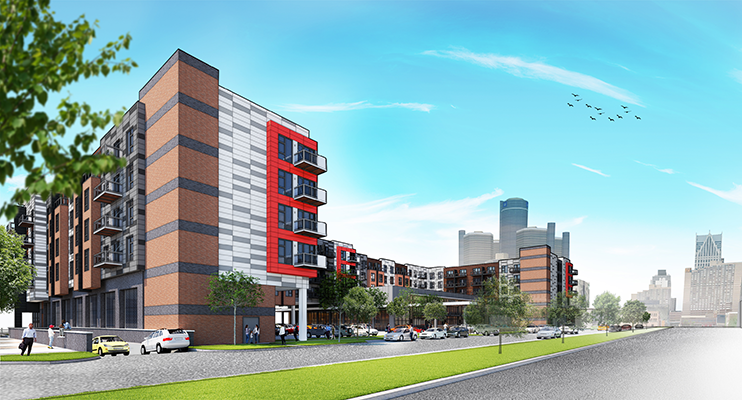 This development is surrounded by the historic districts of Lafayette Park and Rivertown. 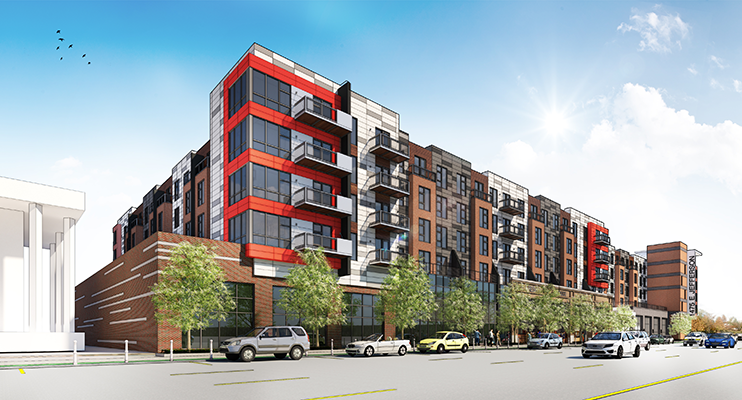 The area adds a rich history and beautiful architectural design to the neighborhood. 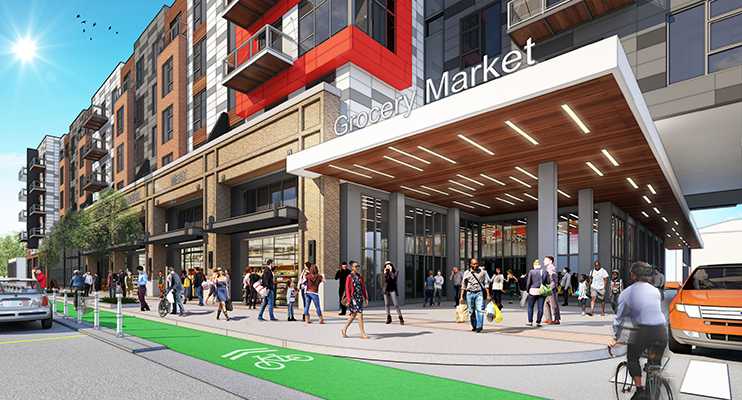 A critical part of this new development will be the inclusion of a retail store, which will focus on providing a new option for fresh food and a full grocery shopping experience for the community. 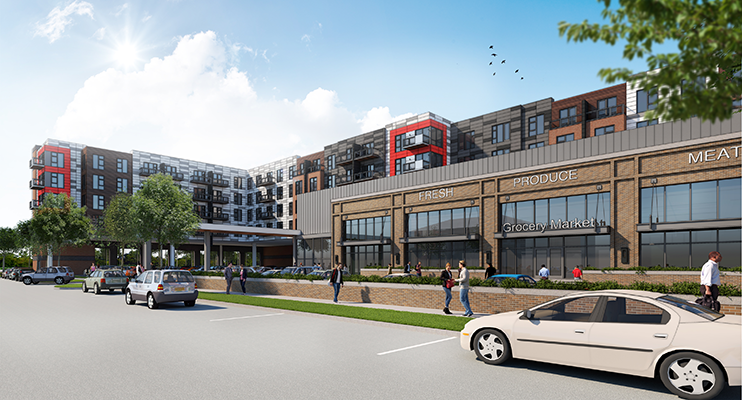 A super-regional grocer has confirmed plans to create a small-format fresh grocery market within the development that will serve the local community as well as those living in the residential units. 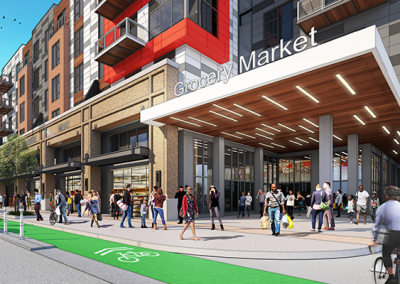 The East Jefferson Corridor has been designated by the City of Detroit and Mayor Duggan’s administration as a next area of focus for redevelopment. Lormax Stern is proud to be apart of this movement. 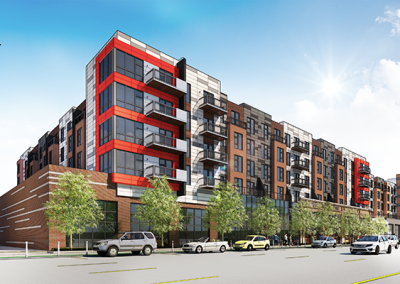 1475 East Jefferson is slotted to open in 2019.